Montaperti, even recorded by Dante in his Divine Comedy, the great altarpiece shows, on one side, the Story of the New Testament and. on the other, that of the enthroned Virgin and saints. 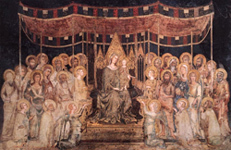 Simone Martini painted his earliest surving work, the large Maesta fresco for Siena Town Hall, with similar celebratory intentions. 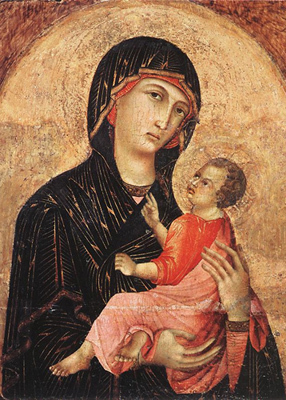 He magnified the elegance of line and colour with which Duccio had founded a new school of Sienese painting. 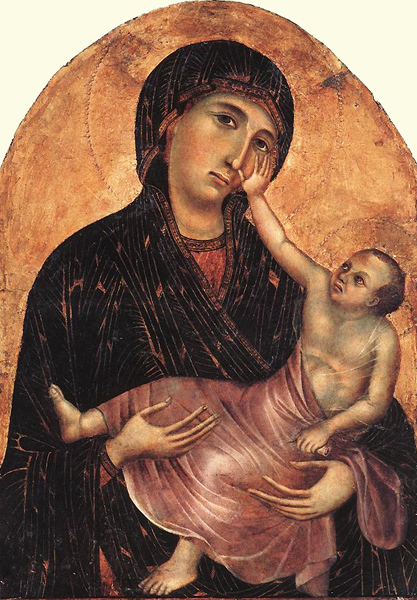 One of the greatest Italian painters of the Middle Ages and the founder of the Sienese school. 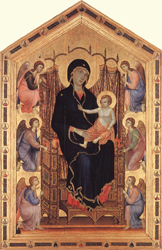 In Duccio's art the formality of the Italo-Byzantine tradition, strengthened by a clearer understanding of its evolution from classical roots, is fused with the new spirituality of the Gothic style. 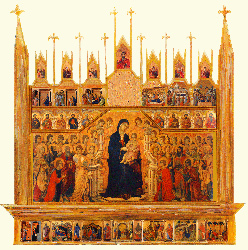 Greatest of all his works is “Maestà” (1311), the altarpiece of Siena cathedral. 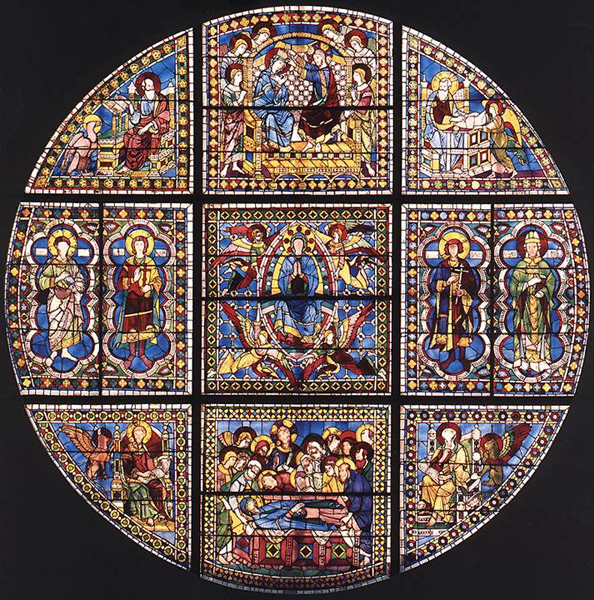 Founder and most celebrated exponent of the Sienese school, Duccio (1260-1318) is famous for his Maesta, the beautiful double-sided altarpiece commissioned in 1308 for Siena Cathedral. 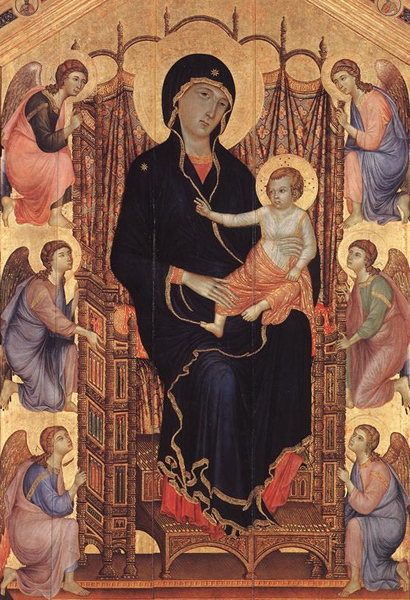 Breaking away from Byzantine tradition, Duccio's painting displayed an exquisite sensitivity, with superb use of colour, elegant modelling, and a lively narrative.